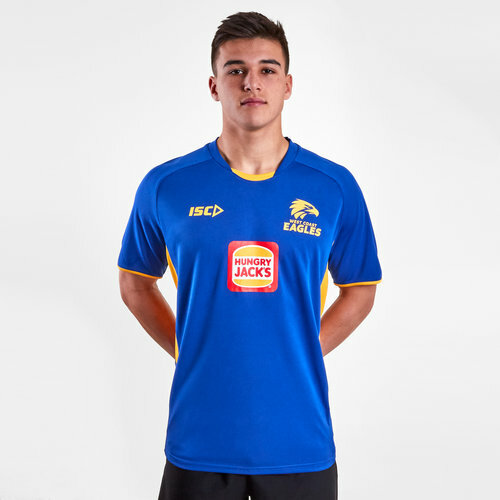 Show pride in the eagle when you slip on this West Coast Eagles 2019 AFL Players Training T-Shirt from ISC. The West Coast Eagles is a professional Australian rules football club playing in the Australian Football League (AFL). The club reached the finals series for the first time in 1988, and won its first premiership in 1992, having been defeated in the grand final the previous year. The Eagles have since won three more premierships, in 1994, 2006 and 2018. The Eagles have won the second most premierships (four, second to Hawthorn) in the AFL era (1990 onwards) and are one of the most supported and financially dominant clubs in the league. 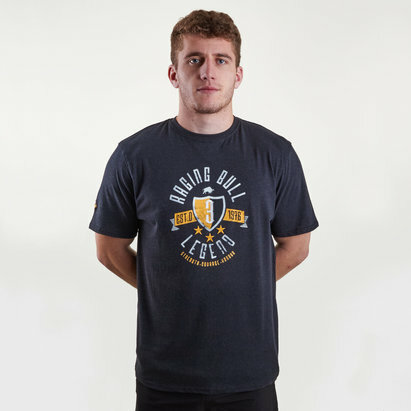 Train like an elite athlete in this 2019 West Coast Eagles Training t-shirt. Exactly as the players wear to training, day in and day out. This tee from ISC comes in the same colours as the home guernsey. It is royal blue with gold detailing. This shirt has the club logo on the left side of the chest whilst the ISC logo is on the right. The sponsor - Hungry Jack's - is across the centre front of the tee.